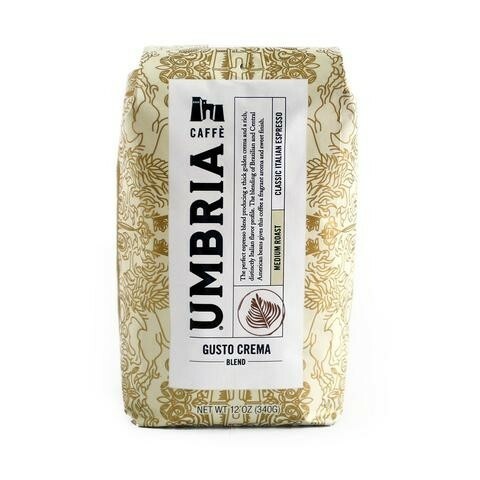 Gusto Crema Espresso Blend by local Seattle roaster Caffe Umbria re-creates the classic Italian espresso blended for generations by the Bizzarri family. The family's roasting roots go back to the 1940's where the Bizzarri family had their first roastery in Perugia, Italy. The Gusto Crema Blend produces a thick golden crema and a distinctly European flavor profile. It's also excellent as a mild to medium bodied drip coffee. 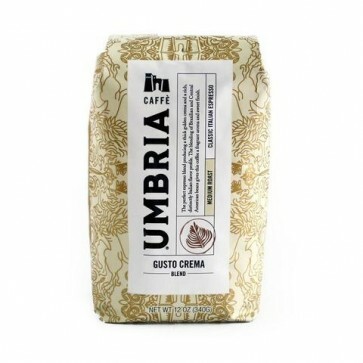 Caffe Umbria Gusto Crema Espresso Blend is excellent for drip or pour over preparations.